love the first pic! It reminds me of that one song. Its only been 4 years. She's 10, and you're *14*, remember? Love your story and your heart thanks for the sweet comment too. I love the creativity of the first photograph. P.s. 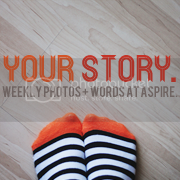 I'm hosting a photo challenge over at my blog. I'd very much like it if you entered.